Really digging the stuff I’ve been able to make with my shapoko3. I’ve borked up a few things like failed to properly hold down some stock and watched the machine buck and the mill smoke - and it’s just stayed flat/true. Really impressed with this thing. As the size of my projects grow, I’m wondering now - how does one do precise drilling? I scooped up a precision set of collets from Elaire and have purchased some of the PCB drill bits from Carbide. Now as I stand with the drill bits in hand and looking at Carbide Create, uh - how does one drill? I should have said it earlier, but I have a Makita (I don’t think that matters TOO much in the end). I’ve been dorking around with Fusion 360. You still use Carbide Motion to run the result from Fusion? You can also use a small end mill to “pocket” a hole which works very well too. You can then make them with exactly the clearance you want instead of being locked to just what the bit does. Most drill bits just aren’t appropriate at 15k RPM either. To expand on what’s been said — Carbide Create doesn’t support a drilling operation — one is expected to make the hold at least 10% larger than the endmill which you’re using and mill as a pocket. I will add that it’s allot better, faster and cleaner to mill holes rather than drill them, but you need a end mill thats smaller than the hole. Peck drilling or drilling with my mill is usually a last option if I don’t have a mill bit small enough. 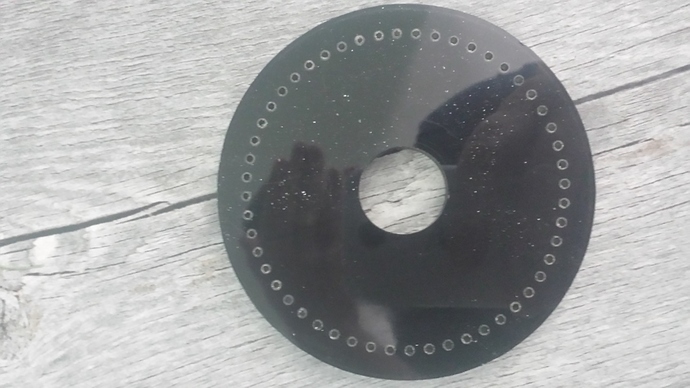 That said I peck drilled some 3mm holes in 16mm thick ali on Friday with great results. For what it’s worth, I have two things I was planning on doing that required the speciality bits. 1 - Large scale, complex design string art. I was hoping to use the small bits I ordered to create pilot holes everywhere I need a nail. 2 - Cribbage board(s). I have zero idea how to play, however, my wife loves this game. I think making a cribbage board is in my future. I don’t think either are requiring precision that of a space shuttle part, however, I’m not sure there’s an endmill that small - or is there? I run a .100" drill bit at 12000rpm with a plunge rate of 80 inches/min. through 1/4" cast acrylic with full depth no peck. How did you indicate you needed a drilling operation and not a milling operation? I’m still running carbide create/motion. Never mind, Carbide create wont let you drill. The tool I use is a .250" mill with a 90° point. 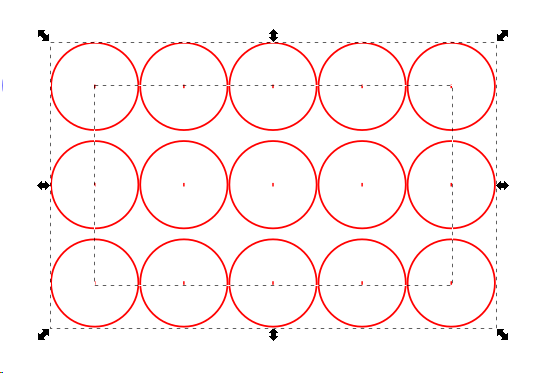 Within either Carbide Create or the CAD system that I use to model my geometry, I put a .252" diameter circle at the location of the hole regardless of what the hole’s finished size should be. In Carbide Create, I select the circle (or circles), and create an inside contour tool path with the tool designated as a .250" endmill and a cutting depth of whatever I want the spot drill depth to be (usually about .030"-'090" depending on the finish size of the hole. I set up the Shapeoko with the tip of the endmill zero’d in the Z-axis at the stock face. Run the NC program and the machine will go around pecking a centerpoint at every circle. Rather than the spindle moving in the Z-axis only as it would for a normal drill operation, the Z-axis drops to the designated depth and then swings a .001" radius in the X and Y axis, then it retracts and moves onto the next centerpoint location. Once the program has run, the finished part has centerpoints where each hole is to be. I can then take it to my drill press and drill the holes to size. One thing to keep in mind is that if you have both milling and centerpoint operations on the same part then you will need to change tools midstream. I always create both the milling and “drill” operations within one Carbide Create file. I then save separate mill and drill NC programs by disabling the operations that don’t pertain. I typically run the mill program with a flat endmill and when the program finishes, I swap to the 90° mill and run the drill program which will pop in all of the centerpoints. Regarding the cribbage board, I believe I might be able to help you in that regard. I use my SO3 to make and sell cribbage boards on Etsy, and I have drilled tens of thousands of holes by now with carbide drill bits from drillman1 on ebay. I use 0.1250" drill bits for my standard sized boards and 0.0781" drill bits for my portable sized boards. The 0.1250" drill bits are made for drilling holes in PC boards, but they do a great job cutting bamboo, wenge, cherry, padauk, zebrawood, leopardwood, beech, maple, oak, katalox and chakte viga. I usually run them around 15K rpm and make 0.050" pecks down to 0.450" for each hole. Each bit usually lasts 10-12 4 player boards. For my smaller boards, I use the carbide 0.0781" bits also from drillman1, and they work just as well, and last about as long as the larger bits. I also use the 0.050" peck distance for them as well. I design and lay out all my boards in Inkscape, and use makercam . com for creating the g-code. I use end mills down to 0.0150" for engraving the boards, so don’t be afraid of going small with your bits. I don’t have any good pictures online of the 0.1250" holes, but here is an album with close-ups of the 0.0781" holes. The engraving of the lines and numbers were done with an 0.0150" end mill. Let me know if you have any questions, and I’ll see what I can do to help. That small cribbage box is gorgeous - really nice work. FYI VCarve provides the ability to drill holes too. What command are you using for Makercam to drill the holes? 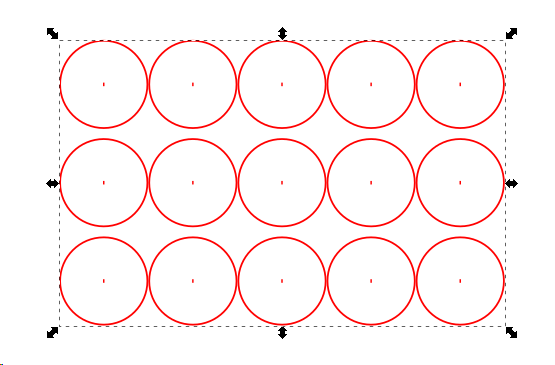 I make a short line and center it in the circles when I am laying out the board, then I delete the circles before importing it into Makercam. 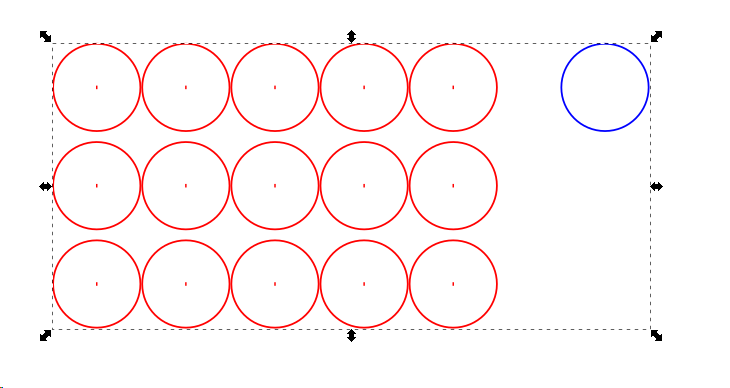 Then I use the drill function and have it use the center of the lines for the drill location. I can show you what I do (with pics) when I get home tonight. And also learning how using [CTRL] and [SHIFT] affect what you select when clicking on an object. 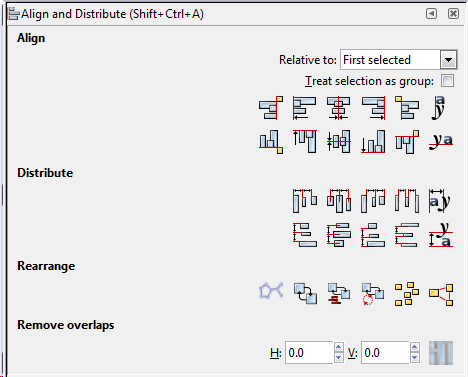 [SHIFT] + [LEFT MOUSE BUTTON] lets you select multiple objects or grouped objects. Press and hold [SHIFT] and left select as many objects as you want one at a time. You can also un-select objects as well. while holding [SHIFT]. [CTRL] + [LEFT MOUSE BUTTON] lets you select a single object - even if that object is part of a grouped object. For example: If you have a group of 5 objects grouped together, selecting any one object in the group using [LEFT MOUSE BUTTON] selects the entire group. Using [CTRL] + [LEFT MOUSE BUTTON] selects only that one object you clicked on. And using the [LEFT MOUSE BUTTON] and dragging a bounding box only selects objects that are COMPLETELY WITHIN THE BOUNDING BOX, which is helpful later on. 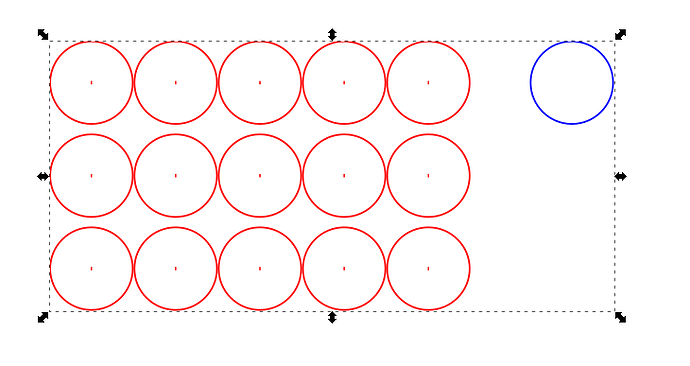 Okay, I start with a circle - for 1/8" pegs, I use a 1/4" circle for spacing the holes. Then I put in a small line and center it both vertically and horizontally and group them together. Now, depending on how many players the board is going to be, I add the additional rows for each player. Let’s make a 3 player board. Here they are, still selected. I add some spacing between the runs to make it easier to grab the pegs. 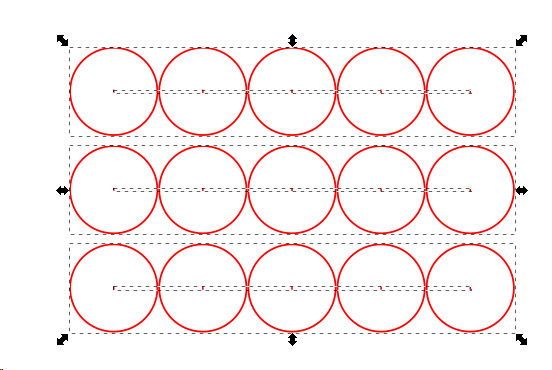 Now I un-group everything using [CTRL] + [SHIFT] + G and re-group the circles in each run separately from the lines in each run. Then I group the lines together and the circles together. 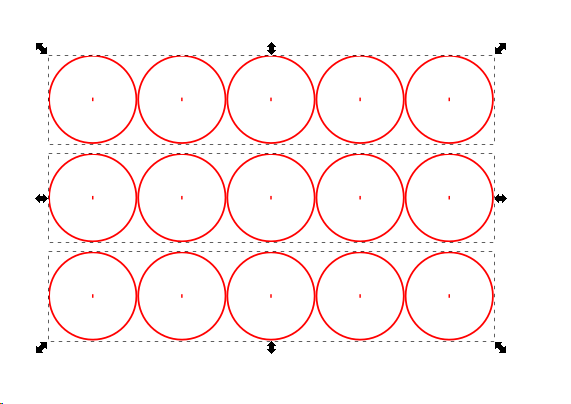 Then I group the groups of lines and groups of circles. Then finally group the two groups together. Now, I need to determine how much room to put between each block of 15 holes. 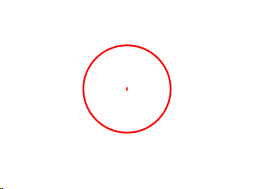 I find a good distance that looks nice and put a circle out there, and change its color and group it with the previous group. OKAY! Now we have our basic block of holes, all lined up and ready for duplication and alignment.